At Calwest Construction, we offer the complete range of asbestos abatement services, from detection to removal to disposal. All with the speed to make your building habitable as quickly as possible, and the precision to preserve as much of your original structure as possible. We’ve seen the wasteful results of heavy-handed asbestos removal, and seen perfectly good structural features destroyed. We take a much more efficient approach that saves time, money and materials. 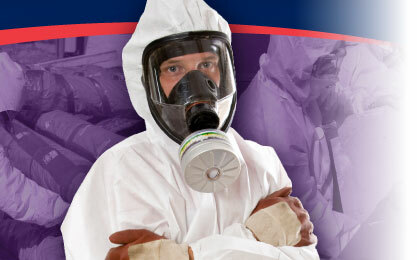 Not all asbestos removal projects need to result in major disruptions and expense. At Calwest Construction, we’ll work with you to determine the procedures that are best for your building and your budget, while ensuring a safe environment in compliance with all federal, state and local regulations. Trust Calwest Construction to keep you safe, secure & satisfied!